Ever wondered how you’d survive in the outback without food and water? Just like the legendary Bush Tucker Man, you too can learn all the secrets of survival in the Top End. The 2 hour tour starts close to home, as we meet under the shade of the Pandanus trees behind the habitats. Here you will learn to identify 10 different food types found naturally in our surrounding environment. You can even taste them if you dare! Then, using indigenous ingredients and local produce you will help prepare a tasty Barramundi from the local billabong, which we put on the camp fire and later enjoy with a cup of billy tea. 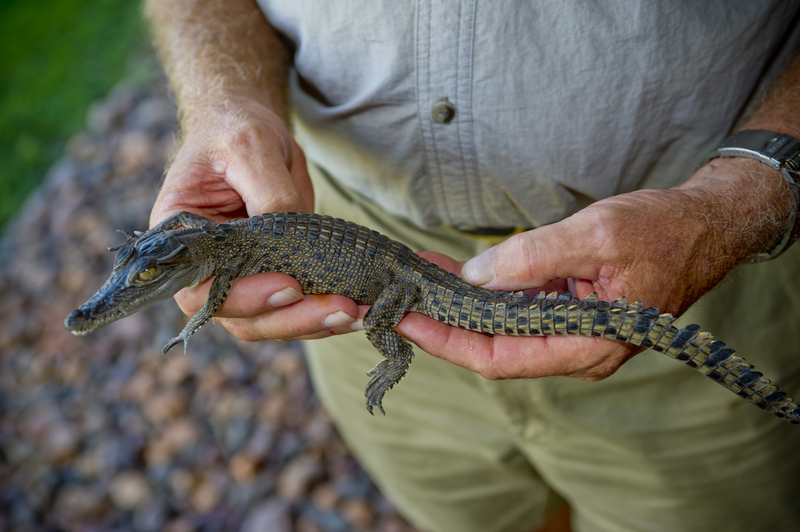 Meet our local residents, Dundee the baby saltwater crocodile and Monty the python and learn how they hunt and live in the wild. Finish the afternoon with a walk to the Home Billabong, spotting animals along the way as you hear tales of what lurks behind the bushes and under the water. This is an immersive experience, giving you an insight into bush survival, indigenous culture and an appreciation of how Mother Nature provides.